Its the season for new biographical books. There’s a new Paul McCartney biog just released. 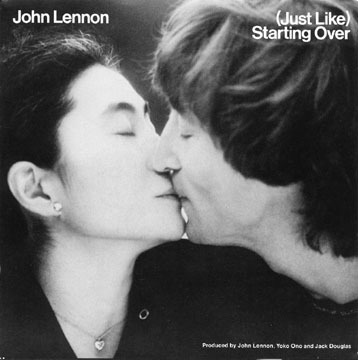 And now comes news of a new book associated with the massive John Lennon CD reissue release program that’s planned for October. 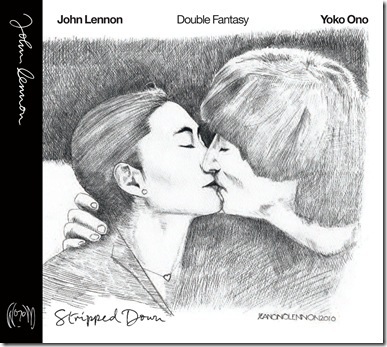 The book is about the making of the “Double Fantasy” album which when reissued next month will contain the original recording remastered, plus a new “stripped down” version as well. The book is written by author, musician and columnist Ken Sharp who’s previous works include whats regarded as the definitive biography of Kiss. 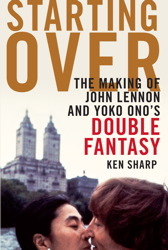 The book will feature never-before-seen photos of John and Yoko in the studio, by David M. Spindel and Roger Farrington. Thanks to Scott Segelbaum of the “Beatle Briefs” podcast for the info on this one. This entry was posted in Beatles, Beatles Books, Beatles Collecting, Beatles Music, Beatles Related, John Lennon, Yoko Ono and tagged Beatles Books, Beatles Collecting, Beatles Related, books, Double Fantasy, Double Fantasy Stripped Down, John Lennon, Ken Sharp, Starting Over book, Yoko Ono by beatlesblogger. Bookmark the permalink.